Facing the prospect of entering Opening Day with an outfield that features Jacoby Ellsbury as the team’s only viable Major League starter, the Boston Red Sox are close to finalizing a contract with Italo-English stud Liverpo ol-RomaAS (liv – er – poe, ohl – roam – AHHs), sources confirmed Thursday. The seemingly ageless ol-RomaAS is largely considered a five-tool star with speed, power, sure hands and superior footwork. Carl Crawford is in pain, but the Red Sox moved quickly to insure against any lack of athletes on the field at Fenway Park this summer. His skills are expected to translate immediately within a ballpark such as Fenway. The push to acquire qualified entertainment to man the Red Sox outfield took on a fevery pitch earlier this week after news broke that Carl Crawford’s wrist surgery could jeopardize his early season availability. 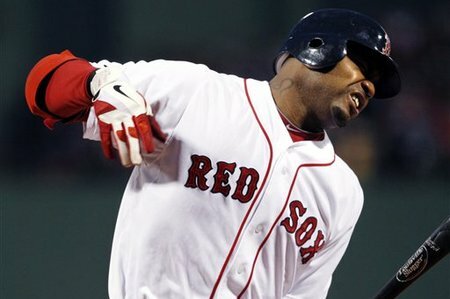 Surprisingly, the signing was not completed by Red Sox GM Ben Cherington but rather by Fenway Sports Management. However, the team’s owners are confident that its involvement in baseball operations was justified in this instance. This under-the-radar Hot Stove activity comes during a week when many Red Sox fans are preoccupied with the New England Patriots playoff run. Meanwhile, ol-RomaAS’s blood lines can be traced back to primarily Caucasian roots. He is therefore considered a near shoo-in to become a fan favorite and a regular in promotional television spots for Sullivan Tire.